Like many animal totems, the bull has various meanings to many cultures around the world, making bull tattoo art popular among a wide array of people. The bull is used as a symbol to many cultures all around the world from the American Indian tribes in the Midwestern United States to the ancient Celts of Ireland and even the Spaniards that settled in the New World. There aren't many other animals used as a totem by so many cultures (and even a few cults) with some similar ideas about the animal as well as other religious meanings. There really isn't a specific time period when bull tattoo art began to become popular. We know that the history of tattooing began hundreds of years ago in ancient civilizations, so we can assume bull tattoo art began there in some form or another. Ancient cultures that used tattooing as a rite of passage would often use symbols from their beliefs as concepts for their art. It's safe to assume that a culture that uses the bull in their culture and tattoos as part of a tradition that they would tattoo the symbol of the bull on their body. 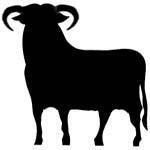 As mentioned, the bull is the symbol of many cultures and people that span decades. For many of these cultures, the bull represents a myriad of traits from stubbornness and strength to resurrection and fertility. 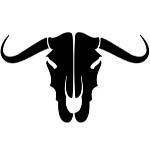 Taurus the Bull is used as a sign of possessions as well as a person's practicality. Those born under this sign are often believed to be very dedicated people that are patient. They tend to be incredibly cautious of others as well as money and what they do in their lives. 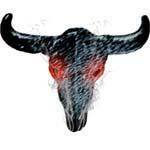 Those under Taurus also seem to possess an ability to dominate others whether they know it or not. They are also faithful and need to feel secure and are in a set routine. Romantic, caring and giving in the ways of love, they can also be stubborn until they get their own way. There are groups around the world that still look upon the bull as being god-like; a force of nature. In Spain, the bullfight is a sport that is still practiced today that first began as a celebration for the coronation of King Alfonso VIII in 711 A.D. It represents the age old battle of man vs. beast but in this spectacle, the man is meant to win (despite accidents still occurring). This same melodrama is played out at rodeos around the United States in the form of bull roping and bull riding. Unlike in bull fighting, the bull is not drugged in order to be slower and the horns are not filed down. The bull is also not killed to satisfy the crowd. The rodeo more closely resembles the origins of bullfighting in its original form. Others get a thrill out of partaking in the raw energy of the animal by running with them which is popularized by the event in Pamplona, Spain. 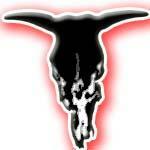 We have all heard the stories of Sitting Bull and scene Southwestern designs depicting the skull of a bull. The American Indians revere the bull as a guardian and a sign of strength. Not a very common thought of animal when one thinks about Celtic tattoos, the bull in Celtic culture is highly revered. 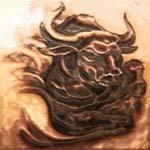 The bull to the Celts is a symbol of someone of strong will and who is uncompromising of spirit. Many who get the Celtic bull as a tattoo, do so because even though the bull can be belligerent and stubborn, they are also unwavering and steady. 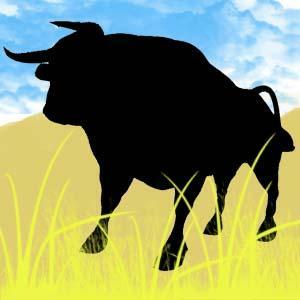 The other side of the coin is that the bull is a symbol of virility and fertility. 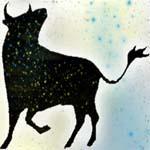 The bull, despite its strength and power, is also a sign of bad things to come. The bull has strong associations with the sun which explains its connections to strong symbolism but the bull is also associated with the moon making it a symbol of the Earth, night and even death. In Egypt, the body of Osiris was borne on the back of a black bull. In India, as well as Indonesia, coffins in the shape of a bull were used to cremate the bodies of princes.